Microsoft has given the world its first look at its new "Spartan" Web browser that will replace Internet Explorer in Windows 10. The new browser is noticeably trimmer than IE, without the sea of menu options and bells and whistles. Settings are mostly straightforward and super-slimmed down -- just the bare essentials. But the yet-to-be-named-browser-currently-called-Spartan (YTBNBCCS?) introduces a lot of new stuff that wasn't in IE. There's a lot to like. Most importantly, Spartan is noticeably fast. It runs a new engine that Microsoft says it built from scratch. That appears to have paid off. Spartan loads complex websites quickly, and there's practically no delay when playing videos. 1. Goes down smooth. 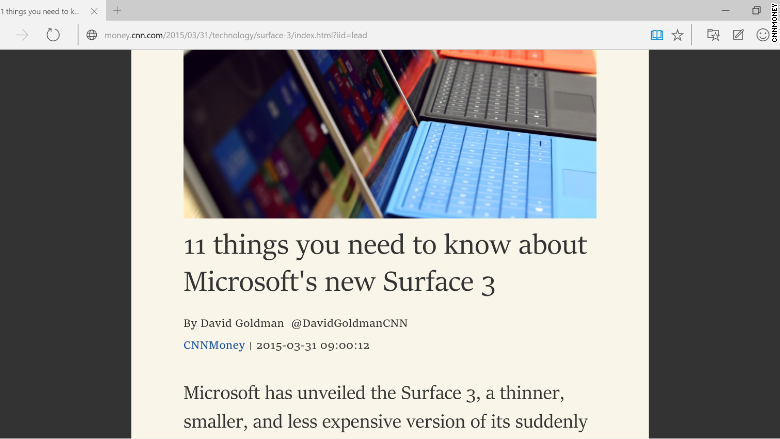 Spartan has a clean, modern look, similar to Google's (GOOGL) Chrome browser. It has a navigation bar on the right that disappears when you're not using the mouse. Curiously, Spartan does not display a preview of the URL at the bottom of the screen before you click a link -- but Microsoft (MSFT) could add that feature in a later version. 2. Write-on, baby! One unique Spartan feature is the ability to take notes right on a website. By clicking the pen and paper button, Spartan will let you annotate any website with a virtual pen or highlighter. This feature is pretty cool if you have a touchscreen PC -- less so if you are using a mouse. 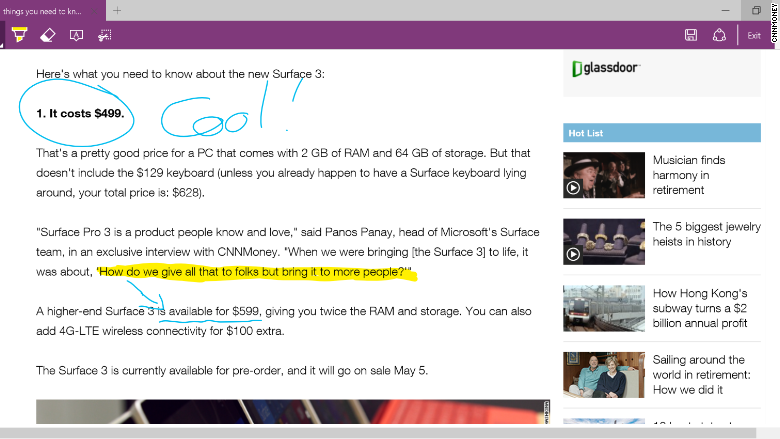 You can also type notes onto the site and send cropped screenshots to OneNote. 3. Cortana. 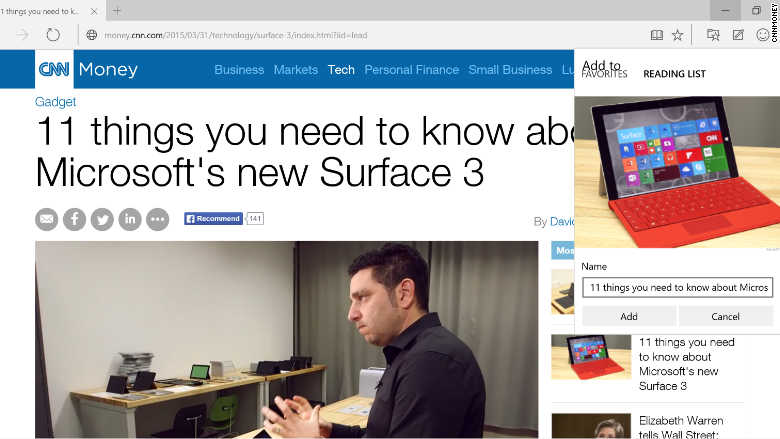 The new browser also supports Cortana, Microsoft's version of Siri. 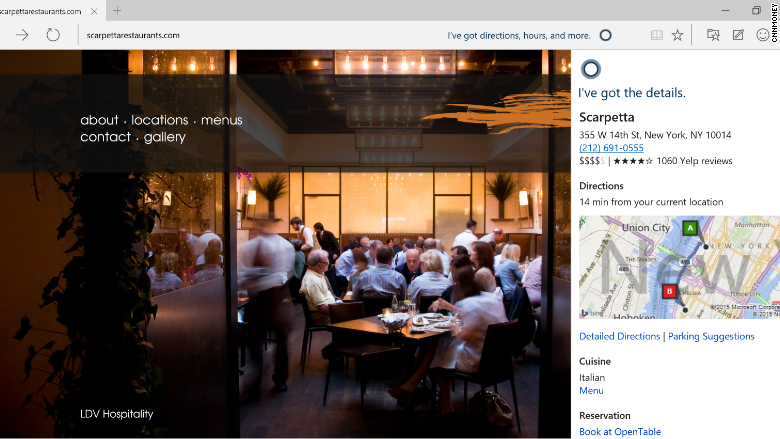 The virtual assistant will send you directions to a restaurant when you navigate to an establishment's website. It's not clear how else Cortana will be implemented in Spartan, but maps are a good start. 4. Save some for later. Spartan supports offline reading with its "reading list" tool. 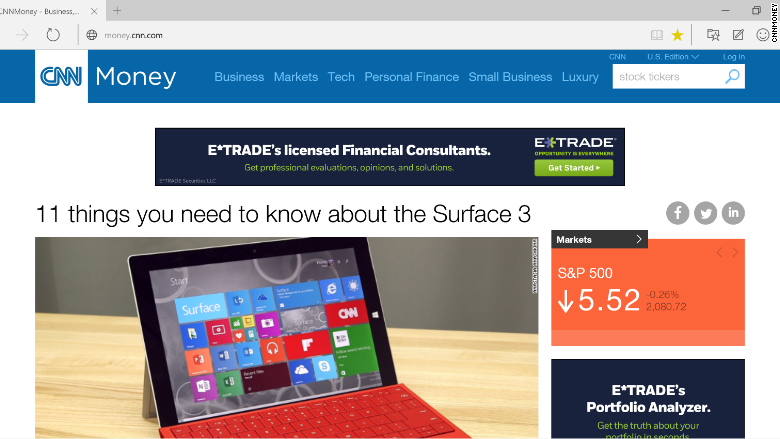 Let's say you found this super-awesome story about the new Surface 3 and wanted to save it to read later on the subway or plane. You could just click the star and then "reading list" to read it offline later. 5. Fat-free. Clicking on the book icon makes websites appear in "reading mode," stripping out ads, videos and other items. Apple's (AAPL) Safari browser has a similar feature. 6. Other tricks. Typing in the address bar brings up Bing suggestions. It's supposed to give quick answers from the address bar for commonly searched queries, but I couldn't get that feature to work. For instance, when you type in "weather," before you even hit "Enter," Spartan is supposed to provide the forecast for your area. But it's an early preview version, and Microsoft needs to work out the bugs. Eventually, Spartan will be able to support browser extensions, just like Google's Chrome browser and Mozilla's Firefox. But the preview version of Spartan doesn't yet have access to those. 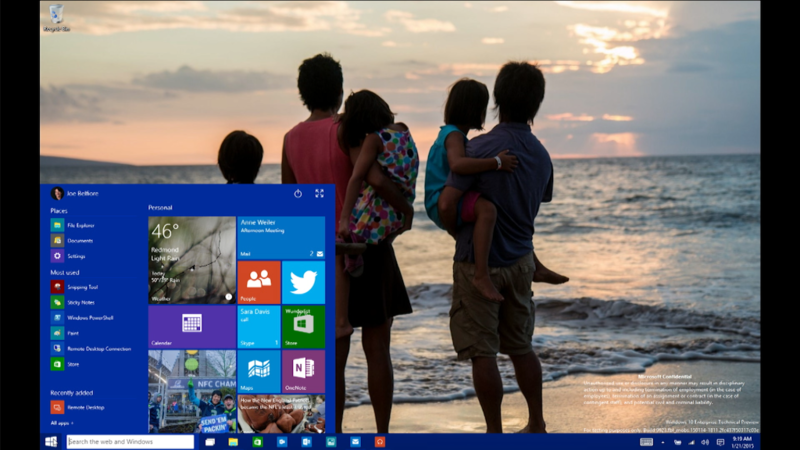 IE is mostly going away for good in Windows 10. Spartan will become Microsoft's primary way to access the Web. But Microsoft will continue to ship IE with Windows to ensure that corporate apps keep functioning properly.